With the completion of the first round of the WEC at the 6 Hours of Silverstone, I figure we should get to know the 2015 Le Mans and WEC competitors. 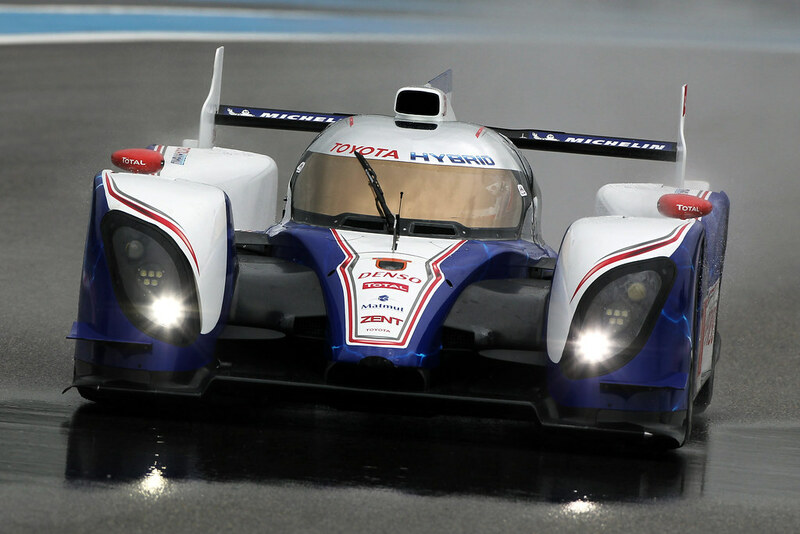 Up first, the 2014 WEC champions: Toyota and their upgraded TS040. 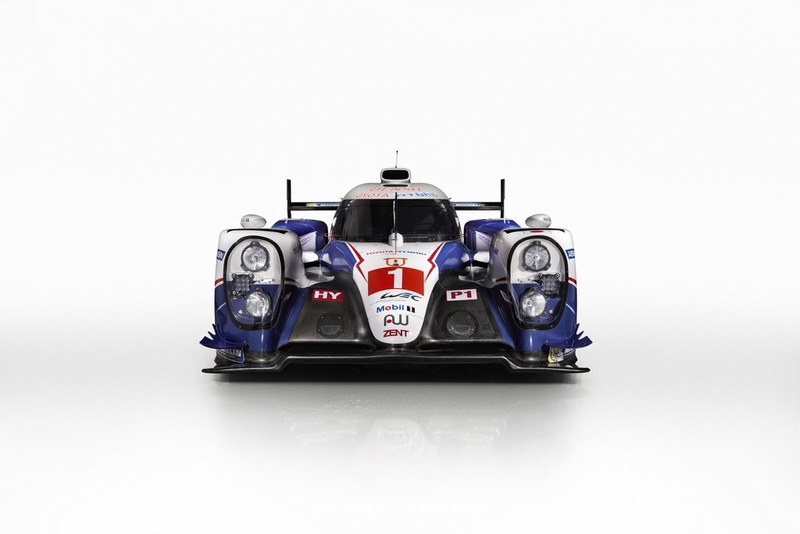 With a 3.7 litre, normally aspirated petrol engine combined with a 6 megajoule (MJ) hybrid, flywheel system, Toyota looks to become the 2nd Japanese manufacturer to win overall the 24 Heures du Mans since Mazda in 1991. 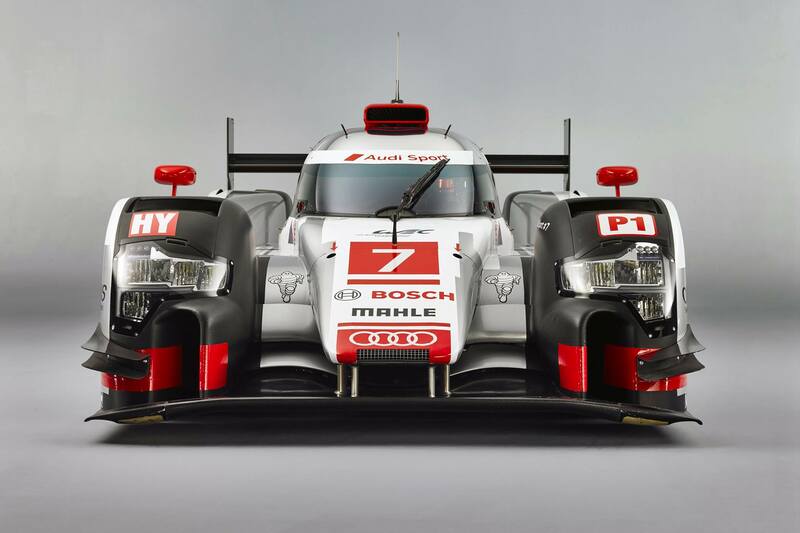 Not resting on their laurels, Audi has upgraded their 2014 Le Mans winning car. Running the same 4.0 litre, diesel engine with an upgraded hybrid system from 2MJ to 4MJ, Audi looks to return to the top step of the podium. Again. 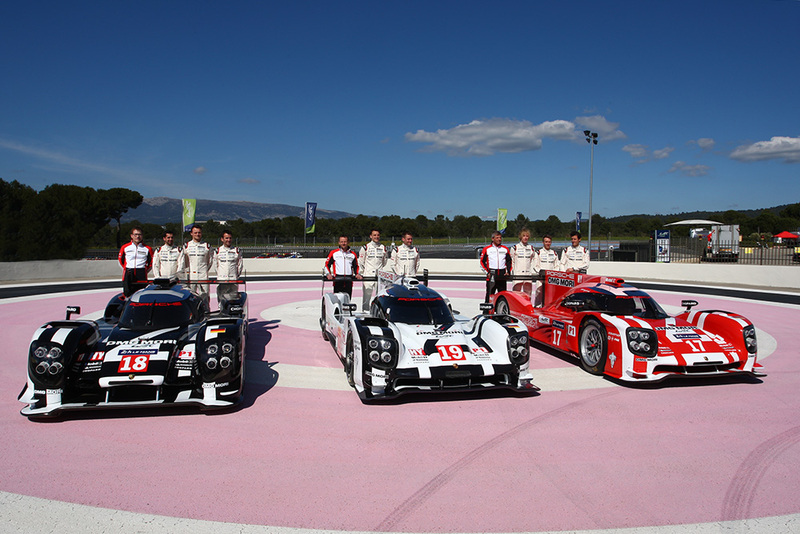 Next up, after a fairly successful debut season in 2014, Porsche returns with their upgraded 919 Hybrid. Using the same – if not fairly unconventional – 2.0 litre turbocharged V4 with an amazing 8MJ in additional boost, driving all 4 wheels, Porsche returns with some wonderfully upgraded liveries. 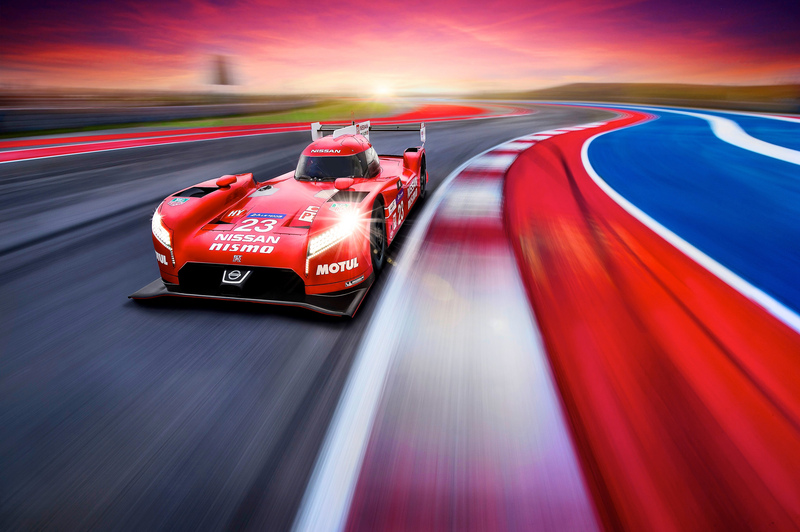 Last, but not least – and certainly the most interesting, the Nissan NISMO GT-R LMP1. Get a load of this beast. Sporting a front-mounted, twin turbocharged 3.0 litre V6 with an 8MJ hybrid system producing an estimated 1,200+ horsepower. All of this power is delivered to the FRONT TIRES. Talk about turning the establishment on it’s ear. Nissan pulled out of the opening rounds of the WEC to focus on Le Mans, we’ll have to wait a few more months to see Godzilla competing on-track. Only two more months to go. A little note from one competitor to another. I’m leaving on 3 days and I’ll be back at the track in a week. So, maybe the message is meant for me. Either way, I can’t wait. 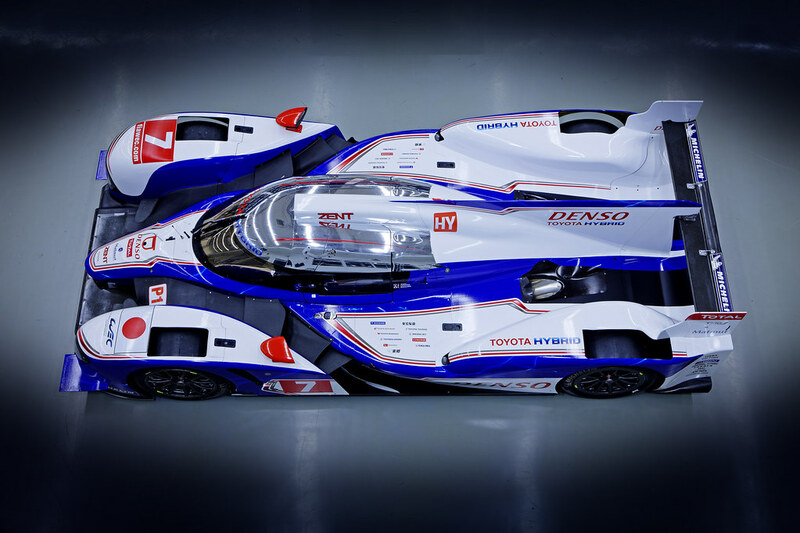 When last we saw the Toyota TS030, they rolled out their Le Mans hybrid competitor at Spa for a photo shoot. Sporting the familiar red and white livery, we were able to see significant changes in the body-work from what they rolled out just a few months ago. Today, they unveiled their Le Mans colors. Looking remarkably like the Peugeot 908 from the last few years, lets see if they can match the Pug’s success. Hat tip to Tessa for the heads-up on the new-look Toyota. In other racing news, the American Le Mans announced today they’re returning to Texas. The American Le Mans Series presented by Tequila Patrón (ALMS) announced today that its 2013 season will include a race at Circuit of The Americas (COTA) – the soon-to-be-completed motorsports, entertainment and business development complex in Austin, Texas. The ALMS event will take place during the spring portion of the 2013 race schedule, which will be announced later this year. Located less than 15 miles from the Texas state capital’s central business district, the unique 3.4-mile Circuit of The Americas will serve as a leader in sustainability through high-performance operations, design, research, education and partnerships, track developers say. In 9 days, I’ll be boarding a plane bound for Paris. 3 days in Paris, followed by a day in Tours, a field trip to Le Mans to see the Toyota TS030 up close and personal, and finally the race. I’ll update the blog and Facebook as often as I can. 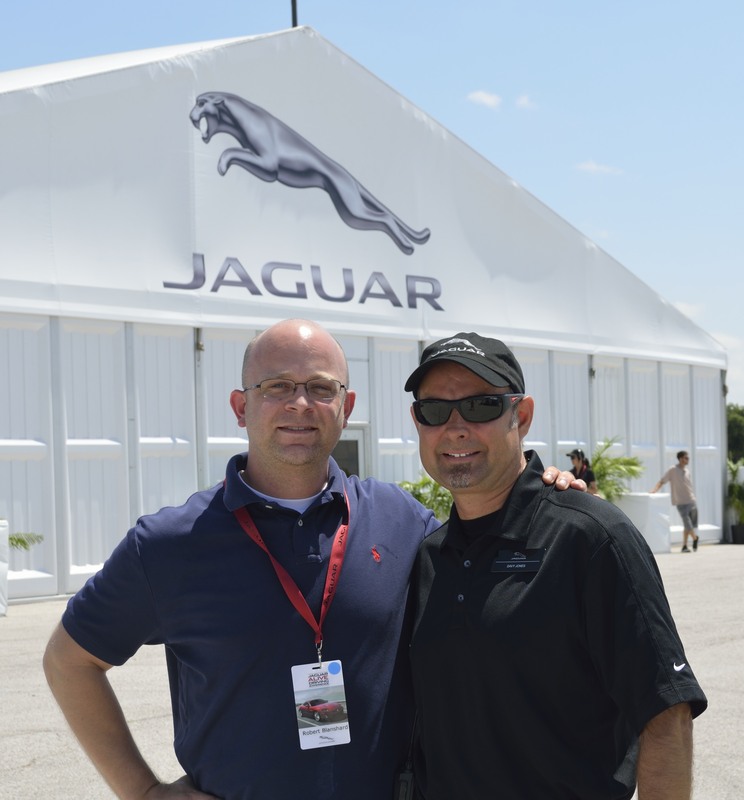 A few weeks ago, Dad calls me and tells me he got an e-mail from Jaguar inviting him to a driving event. He can’t go because he and Mom are going to be in Florida. He sends me the e-mail with the registration number to sign up, so I did. I’m allowed a guest, so I call my frequent GT5/iRacing buddy Smades to see if he wants to join me. He’s in. After a morning filled with tire smoke, crushed traffic cones, and racing legends, I’m sorry, but Dad, you should have come home early. The event is held in the parking lot of the Lone Star Park horse racing facility out in Grand Prairie. Smades doesn’t live too far from there so I pick him up this morning about 9 AM. After saying hello to the dogs, Laura and Charlie, we’re off. “Does this place have coffee?” he asks. Hell, I don’t know. “Exit here and get me a Starbucks.” A slow drip with four sugars and half-and-half we’re on our way to the track. They’ve set up large, ten-foot tall letters spelling out J A G U A R on the front lawn so we know we’re in the right spot. Following our nose, we make our way to the hospitality tent where we register and get our lanyards. After a quick dog-and-pony show, they usher us out the door where a line of XFs, XJs, and XJ-Ls await us. Climb in, buckle up, and off we go. There are walkie-talkies in all the cars so the lead driver and the tail-end charlie driver can communicate with each other and us as well. We take to the streets around Lone Star Park in our personal XJ – not sure if it was a XJL with the long wheel base – but it had a 5 litre supercharged engine that sounded and felt great. Half-way out, we all pull over to the side of the road and swap drivers. Smades spent this time in the passenger seat messing with the touch screen sat-nav and syncing his iPhone to the car. Once we’ve swapped, he drops the windows and cranks up the Beastie Boys. I’m going to go out on a limb here and say that’s the first time Paul’s Boutique was played in that car. The Bowers & Wilkins sound system was superb and to quote Ferris Bueller: If you have the means, I highly recommend picking one up. Soon enough, we’re back at the main tent where the Jaguar pitchman is trying his hardest to make us laugh, but we’re here for one thing – to drive these cars hard. Outside, in the massive Lone Star Park parking lot, they have three tents with three different areas of focus – technology, refinement, and performance – or something like that. We pick the technology tent off to our left first. There they have an XF waiting with an instructor waiting. In we go. He directs me to a skid pad simulating a wet or icy road. He turns off the traction control and tells me to give it some gas and notice the wheel slip. Back up, turn on the traction control and feel how the car reacts. Ok, nothing to write home about – and yet here I am writing about it. I digest. He directs me towards a kidney bean-shaped, traffic-cone lined “track” for a few laps. Over the next three laps, he gradually turns off certain aspects of the car’s control and turns on other aspects of the car’s performance. On my last lap, in full performance mode, he looks at me and says: “You’ve done this before”. With a quick handshake and thank you, we’re onto the refinement tent. Here they have several models lined up begging to be driven. This isn’t meant to be a fast test. Hop in any car and take it for a leisurely ride over various obstacles that represent real-world road conditions. Meh to very-meh. Next tent: performance. And here’s where it gets fun. Saturday morning, while surfing the web and downing my morning coffee, I’m listening to the Ticket. One of the hosts brings up this Jaguar driving thing he went to yesterday – my ears perk up. He spoke about the cars, the driving and the instructors – one of which is a former Le Mans winner. Now my tail is wagging. Who could it be? While in the main tent with Smades before our initial presentation, we strike up a conversation with one of the Jaguar representatives. I mention I heard there is a Le Mans winner here today. Yes, yes there is, this British gentleman says. Davy Jones. No…not the Monkee singer who recently died, but the American driver who won Le Mans in 1996 with Porsche – and to a lesser degree, with Jaguar (but more on that in a moment). Now I’m really excited. So, the performance tent is really two tents – one a 0 to 60-or so acceleration test and one a auto-cross road course. 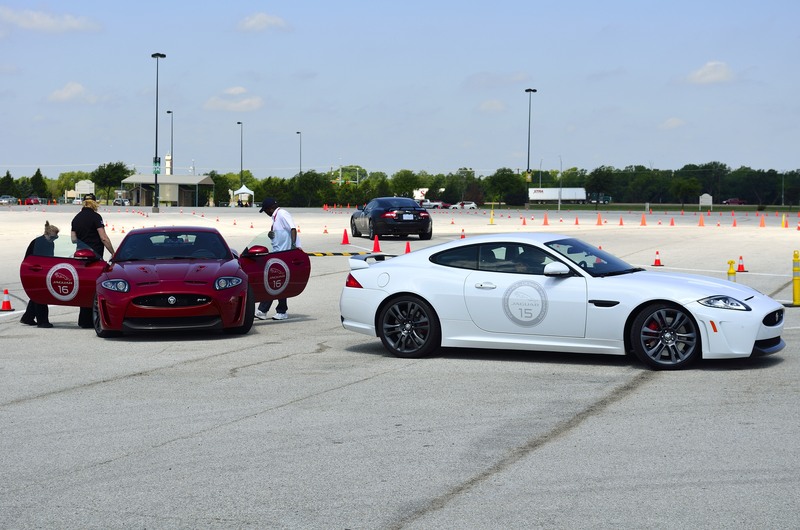 First up, the acceleration test in the XKR-S -the Jaguar super coupé. Carbon fiber front-end splitter and rear spoiler, 5 litre supercharged V-8 that churns out 540 HP – this thing is mean. They’re running the group through three XKR-S’, and while we wait, one of the instructors is giving us the finer points of this car. Soon after we get in line, the three cars line up in front of us and the instructors grab a student and off they go. Here comes Davy and with a quick stacking of the deck, I move Smades in front of me and tell him I want that guy. Shortly thereafter, off goes Smades and here comes my car. Davy Jones was THE next-in-line American driver in the early ’80s. He finished 3rd behind Ayrton Senna and Martin Brundle in the 1983 British Formula Three Championship. He drove for the Brabham F1 team – then owned by Bernie Ecclestone. Over the next few years, he gradually shifted from open-wheel racing to sports car racing where he landed a seat with Jaguar driving their XJR-9 and XRJ-12 Le Mans competitors. He still raced in American open wheel CART – now Indy Car – races, but he made his name on the streets of La Sarthe. He first took the XJR-9 down the Mulsanne Straight in 1988 back when it was the Mulsanne Straight. No chicanes. They could take these 7 litre V-12 machines over 250 MPH. On a public road. 1988 they finished 16th. 1989 and 1990 in the upgraded XJR-12 they did not finish. 1991 was their year. But the rules would get in the way. In 1991, the competitors were given a fuel consumption limit: 2550 litres for the entirety of the race. As the race went on, the TWR Jaguar team pulled back – to the tune of 10 to 12 seconds a lap to conserve fuel. In the XKR-S, Davy told me they were convinced the Mazda would have to do the same, alas they did not and last year I was able to enjoy the 1991 winning Mazda 787B scream off towards Tertre Rouge. That 1991 race featured F1 World Champion Keke Rosburg and some “kid” by the name of Michael Schumacher. Davy returned to Le Mans in 1996 in a Porsche powered car originally built as a Jaguar that was designed by Ross Brawn and had the roof chopped off. I’ll explain. Tom Walkinshaw Racing was a racing team and engineering firm. They designed and built the Jaguar XJR-9, the XJR-12 and it’s successor the XJR-14. In 1995, Tom Walkinshaw Racing were commissioned by Porsche to produce a car to compete in the 1996 Daytona 24 hour race. The Porsche WSC-95 was based on the TWR’s 1991 Jaguar XJR-14 chassis, with the roof removed and a flat-six Porsche engine fitted. In 1996, the car was acquired by Joest Racing and were chosen by Porsche to run at Le Mans as backup for Porsche’s own team of works 911 GT1s. With Davy Jones, Manuel Reuter, and Alexander Wurz behind the wheel, they took the checkered flag Le Mans. Davy would not get a chance to defend his Le Mans victory. Davy was seriously injured in January 1997 while testing an IRL car in Florida. Joest Racing replaced Davy with a young driver with a promising future: Tom Kristensen. That car went onto win, giving TK the first of his eight Le Mans victories. So, I get in the XKR-S with Davy and tell him I went to Le Mans last year and I’m going back in three weeks. “Oh yea?” he replys, “Le Mans is a magical place”. We’re doing the XKR-S acceleration test and we have to go to the end of the parking lot where the J A G U A R letters are. I’m moving particularly slow and we’re talking Le Mans the whole way. His experiences, my experiences, what it was like racing there with and without the chicanes. He tells me that once they put in the chicanes on the Mulsanne Straight, that changed the aerodynamic set ups on the car. Because they could no longer blast off towards Mulsanne at 240 MPH, they could add a little more downforce. That minor change at the front of the track, affected the back of the track. The Porsche Curves were no longer a challenge. Davy said with the old minimal wings, the Porsche Curves were a challenge to go fast – you were right on the edge. Now with the added downforce, you could take the Curves without blinking. Now we’re at the start of the straight away. I’m sure Davy was to spend that time going over all the bells and whistles and engineering black magic of the XKR-S and what makes it fast, but we were talking Le Mans. He points down towards a pair of cones and says “punch it.” 580 HP come alive and before I know it we’re at the cones, slowing down and heading back. All the while, we’re talking Le Mans. We get back to the tent and I tell him what a pleasure it was meeting him. He shakes my hand and tells me to enjoy myself. I walk off a little star stuck and the instructor we were talking to earlier asks if I wanted my picture taken with him. D’OH – that’s a great idea. But he’s already grabbed another gentleman and it off for another drag race. I’ll get him later. Smades and I make our way to the final performance tent where our instructor, Roberto, is giving some finer points about corner entry, exit, acceleration and braking. I probably should have paid more attention to the braking part a little more, but I’ll get to that in a minute. We get three laps, the first two are practice, the third is timed. The fast lap for my group is a 30.3. They have two XF-R’s and two XK-R’s for us to choose. Dave hops in a XK-R and I’m up next. Here comes a grey XK-R and the instructor introduces himself – James Gue. He’s a former ALMS and GRANDAM competitor who’s currently partnered with McDreamy himself, Patrick Dempsey and his racing team. He asks me my driving/racing experience and says we’re good to go. Pull up to the starting cone and he’s going to bark out corners like a rally co-driver. First corner a fast, sweeping left-hander, lift off the throttle followed by a left-hander hard on the brakes. A quick right-left-right chicane and then hard on the brakes for a left-hand hairpin. The final two corners are a double right-hand corner across the finish. First lap, not too bad. Harder here, softer here, and I’m good to go. Next lap. Even better, James tells me to be smoother on the throttle and earlier on the brakes. Gotcha. Final lap – it’s go time. He says he did ran a 29.5 this morning and tells me I’ve got the 30.3 in my sights. Go. And like that it’s done. He says he thinks I got it. Nope. The instructor in the timing tent says there’s a problem with the electronic/laser stop watch. Go again. Ok. Another good lap. Nope, the timing still isn’t working. James gives me a few more tips. Ok, we’re all set. GO! First corner, nailed it. Second corner, nailed it. Through the chicane and into the hard left hand hairpin…I was five feet late on the brakes and I took out a few cones. Crap. We pull in and Smades holds up his iPhone. “42 seconds?!? What went wrong?” as he chuckles. James pats me on the shoulder and tells me he thinks I would have beat the 30.3. That’s not much of a consolation prize and Smades’ chuckling isn’t helping much. We walk off and back towards the first performance tent to look for Davy. A quick scan and here he comes walking over. I ask for a quick photo and he graciously obliges. We head back into the main tent where we check out another XKR-S – in French Racing Blue of all colors – and an old E-type 2+2 coupé. We complete a quick Jaguar survey on an iPad, receive our gift bag with all sorts of Jag swag and we’re back on 30 heading back to Smades’ place. All in all, it was a great day. Jaguar really makes some fantastic vehicles. I’ve had plenty of time in German and Japanese cars, but this is my first real experience in British built machinery that Jeremy Clarkson is always rambling on about. It was a great time with a good friend and meeting a Le Mans winner made it that much sweeter. Three weeks from today I’ll be in a plane to France and back to La Sarthe. I’m just counting down the days. This weekend was the running of the WEC 6 Hours of Spa. 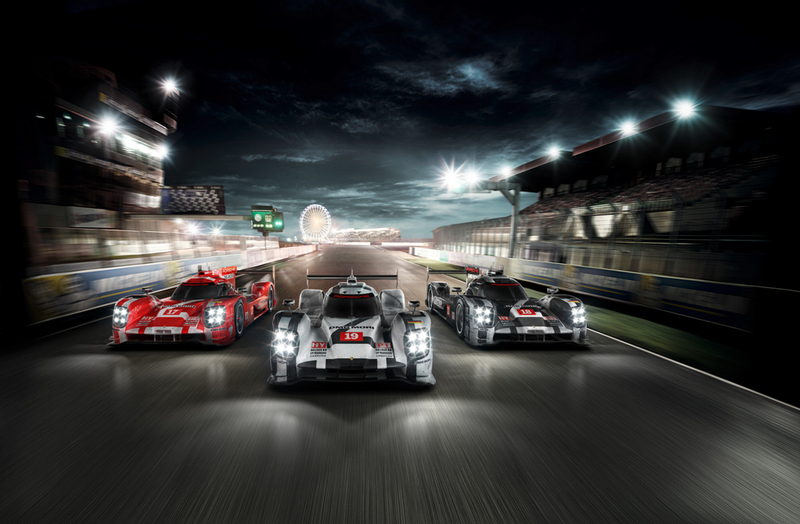 This was the racing debut for Audi’s two newest Le Mans competitors: the R18 Ultra and the R18 e-tron quatro. But before I get to Audi and the race let’s look at who wasn’t there. Don’t let the poster fool you, Toyota was not there with their TS030 – at least not competing thanks to an unfortunate shunt at Paul Ricard while testing last month. Toyota brought their gasoline hybrid endurance competitor for promotional purposes only. 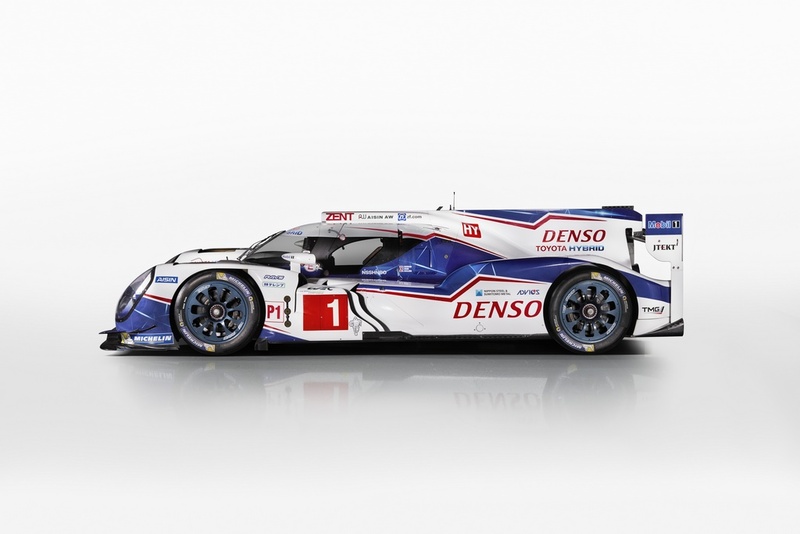 From these photos, you can see Toyota has made several modifications to the car. In addition to updating the headlamps, which I’m sure is for improved night-time visibility, they’ve made several aerodynamic changes. The front fenders are more upright, the endplates are now more similar to the Audi’s, as well as a redesigned nose with integrated air intakes probably for brake cooling. This is not the same car they rolled out two months ago, and I’m willing to bet this isn’t the same car that will take to the grid in Le Mans next month. Now, onto the race. 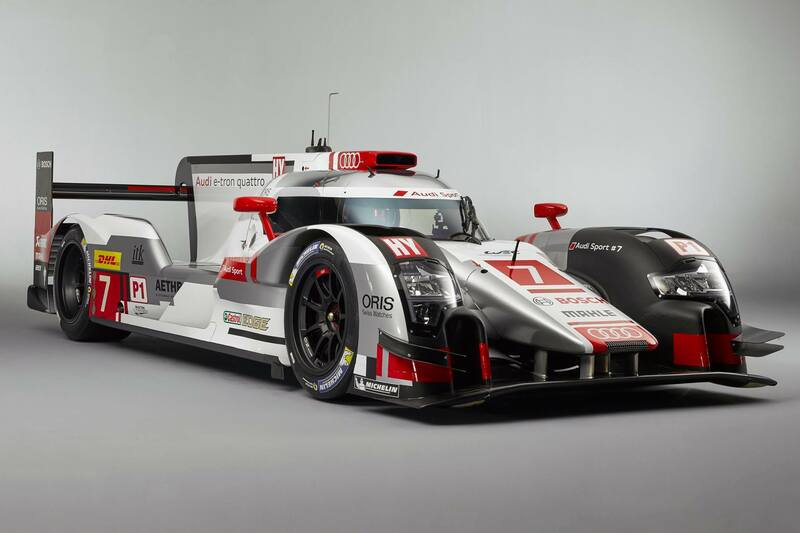 As I said earlier, Audi debuted their newest Le Mans racers: the R18 Ultra and the R18 e-tron quattro. Two of each for four Audi racers. The R18 Ultra is an improved version of the 2011 Le Mans winning R18 – slight modifications in aerodynamics as well as a modified monocoque for improved driver visibility. The R18 e-tron quattro is an all-wheel drive version that has two electric motors driving the front wheels creating a diesel/electric hybrid. Audi DOMINATED qualifying. The two e-tron quattros took the front row and the two Ultras took the second row. There was a considerable gap from the e-tron quattros to the Ultras and then onto the rest of the pack. The fastest e-tron quattro won pole position with a 2:22.121, the fastest Ultra in 3rd was more than 6 seconds back with a 2:28.422 and the next fastest LMP1 competitor was a more than a second slower in 5th. These cars are blistering fast. Being fast over a few laps is one thing; being fast, reliable, consistent, and safe over a 6 hour time frame is an entirely different thing. Mix in the weather, and “the great equalizer” changes everything. 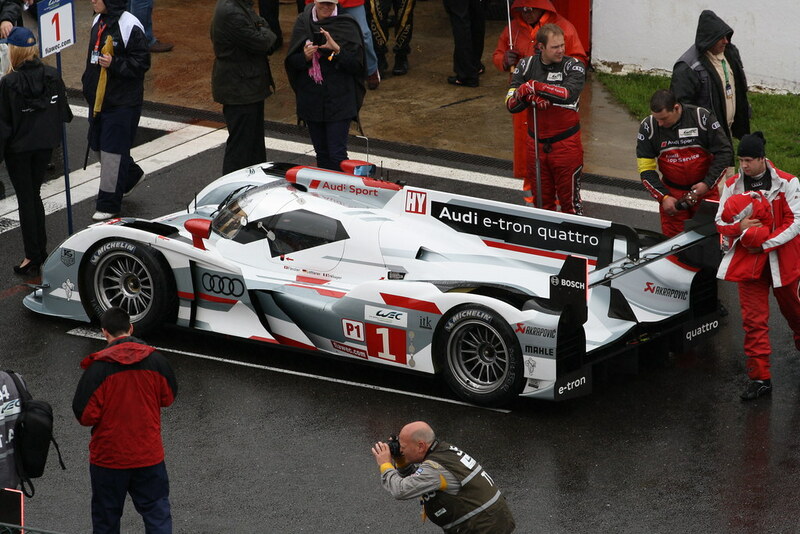 My friend from Le Mans, Walter, was at the race and provides us with this photo of the #1 Audi on pole. To see more of Walter’s work, click here. Practice and qualifying were held in the dry, but the weather in the Ardennes Forest is unpredictable. Rain moved in overnight, throwing engineers, drivers, and mechanics into scramble mode to prepare the cars for their wet-weather setups. Strategies, tire and fuel management, and goals all had to be adjusted. The e-tron quatro is fast in dry weather, but how would it handle Eau Rouge in the wet? At the drop of the flag, the e-tron quatros and Ultras maintained first through fourth and stayed that way through the first half of the race. As the track dried, however, Marc Gene in the #3 R18 Ultra came in for slicks. The gamble paid off. He and his co-drivers Romain Dumas and Loic Duval held off the e-tron quattro piloted by last year’s Le Mans winning team of Benoit Treluyer, Marcel Fassler, Andre Lotterer to win the 6 Hours of Spa. Here’s a great video from Michelin from the race. Check out the R18 LED headlight with the colored accent lights. 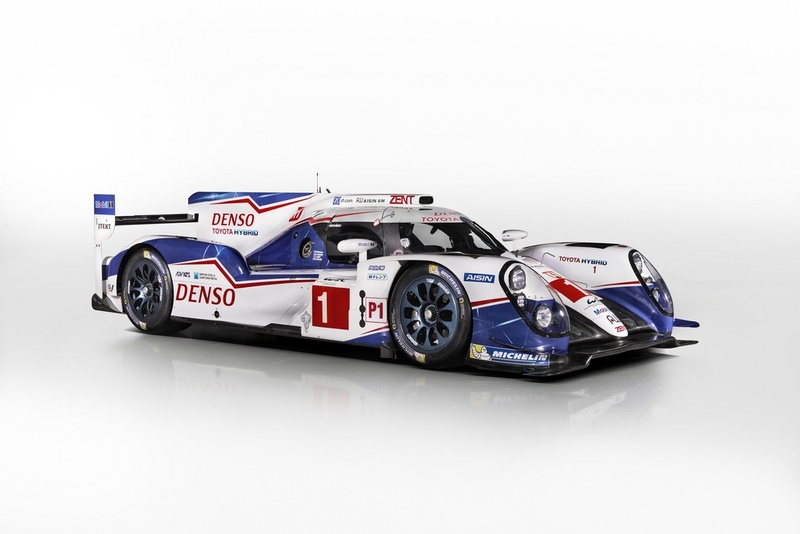 While Toyota didn’t compete in this race, they say testing will more than make up for the lack of competitive racing when it comes time for Le Mans. I can’t say I 100% agree with this line of thinking. In terms of logistics, Toyota wasn’t ready for this race. Does that mean they’ll be ready for La Sarthe? I don’t think so. Audi’s been to Le Mans every year since 1999. They’ve won it 10 out of the last 12 years. You can argue 11 out of 12 with the Bentley Speed 8 – which was basically an Audi R8 in a different shirt – these guys know how to win. And when you consider Audi is fielding 4 competitors at Le Mans, it should be an all Audi first two rows and an all Audi podium. Does Toyota have a rabbit up it’s sleeve? We’ll know in 5 weeks. 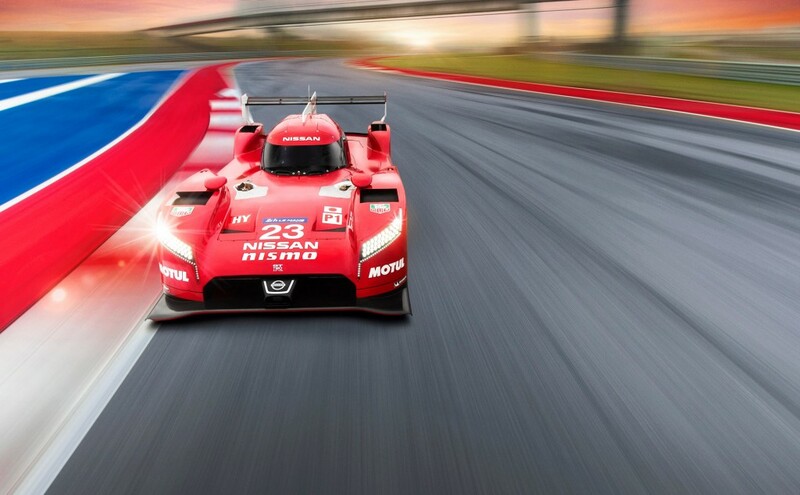 In the week building up to the 12 Hours of Sebring last month, Highcroft Racing revealed their radical Le Mans competitor, the DeltaWing, will be powered by Nissan. The Nissan 1.6-litre direct injection turbocharged engine will be badged after the Japanese manufacturer’s DIG-T (Direct Injection Gasoline – Turbocharged) technology. 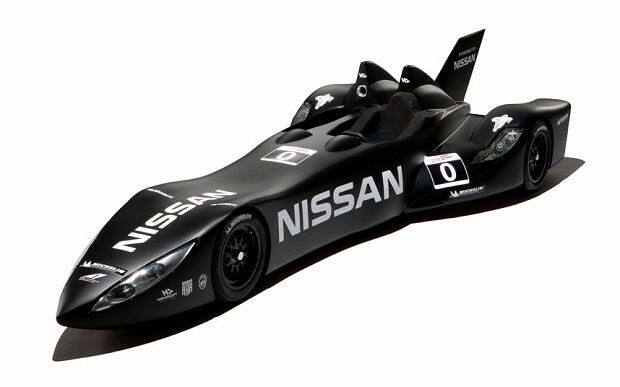 The DeltaWing/Nissan combination produces 300 BHP. 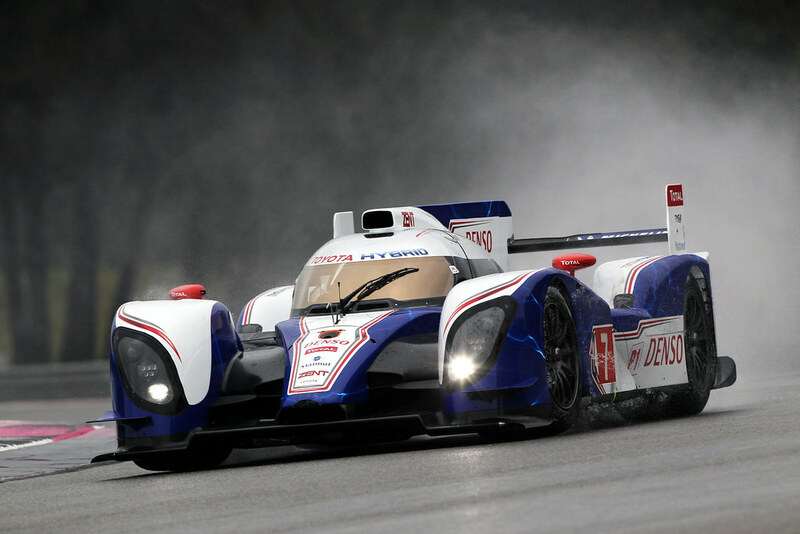 While this is half of what the top P1 cars produce in terms of horse power, the DeltaWing only weighs half as much. Additionally, it produces half as much drag – the design does away with conventional wings in favor of ground-effect aerodynamics. The DeltaWing will also consume half as much fuel and go through half as many tires. Useful attributes in an endurance race. With this power-to-weight ratio, they’re predicting the DeltaWing will, in terms of speed and lap times, slot right in between the P1 and P2 cars. Highcroft Racing gives us a taste of what the DeltaWing drives like. Notice how it doesn’t have paddle shifters and that it can actually turn. The DeltaWing team have been testing on-track in the USA for the last few weeks, and have described the success of initial trials as ‘ten out of ten’. The radical Nissan DeltaWing sportscar project undertook its first wet weather running yesterday at Snetterton. Marino Franchitti and long-term Nissan driver Michael Krumm shared control of the car at the Norfolk circuit, which also marked the project’s first European test. Franchitti, who ran in the morning when conditions were at their worst, said the first wet run had provided the team with important data and given them a clear direction for future development. “Mother nature really did us a favor today, because it was great to get another run in the wet,” Franchitti explained. 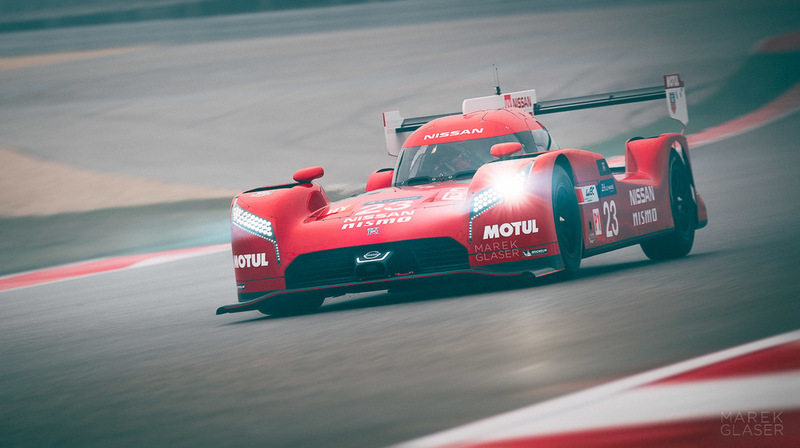 Nissan Europe’s general manager Darren Cox added: “The whole Nissan DeltaWing team is still on a massive learning curve. “Testing in the States was a stable, predictable way of doing the initial groundwork but this exciting car is going to be racing in the French countryside. Only 2 months until Le Mans and this year’s race is shaping up to be the most technologically advanced race we’ve ever seen. With the Audi R18 e-tron quattro, the new Toyota TS030 Hybrid, and the DeltaWing, we are on the bleeding edge of racing technologies. It’s no longer about top speed with big engines and good aerodynamics, the manufacturers are fully on board with advancing racing tech with the goal of moving what works on the track into our daily commuters. Back in 2008, Audi and NFL Films teamed up to follow Audi Motorsport as they traveled to Le Mans with their aging Audi R10 as they faced a new and daunting competitor: the Peugeot 908 FAP HDi. What they produced was a brilliant racing documentary/movie. The best part about the movie, it’s a free iTunes download. I watched it last year on the flight over to France. I was planning on watching it again in preparation for this year’s race, but something else caught my attention. The film should be finalized over the next 8 weeks. Give us a few more weeks and we will come back to you with more information. It has been a LONG process to select the scenes to feature – there was just so much great racing going on. Not surprisingly after that epic race, it will be much more focused on the 24hrs itself when compared to the first edition. In other news, I’ve got the trip fully booked. Flight, hotel, and race. I have to book my train tickets from Paris to Tours and from Tours to Le Mans for Friday activities, but they don’t release the schedule this far out. 2 1/2 months to go.